Wildfires rip through California, the longest lunar eclipse dazzles, elephants chill out and more. A double rainbow appears above Cau Vang, or the "Golden Bridge," in Vietnam's Ba Na Hills on Aug. 1, 2018. 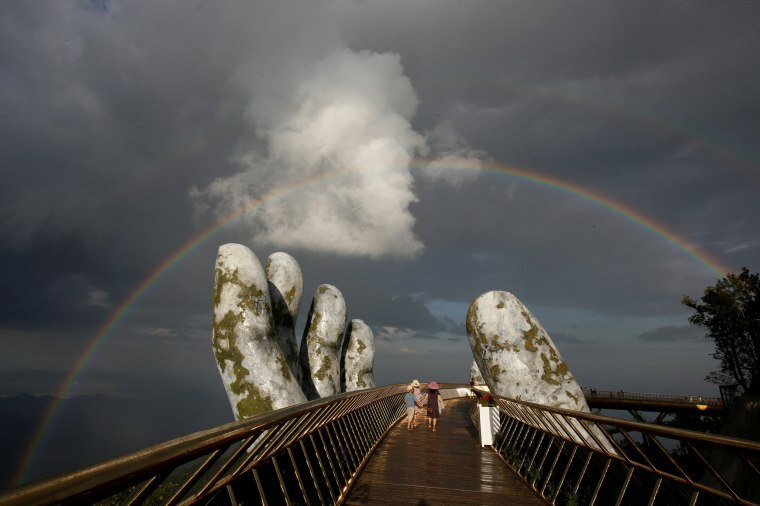 The structure, which features a pair of giant hands lifting the ribbon-like bridge, offers tourists uninterrupted views of the majestic landscape beneath. Firefighters try to control a back burn as the Carr Fire continues to spread near Redding, California, on July 31. 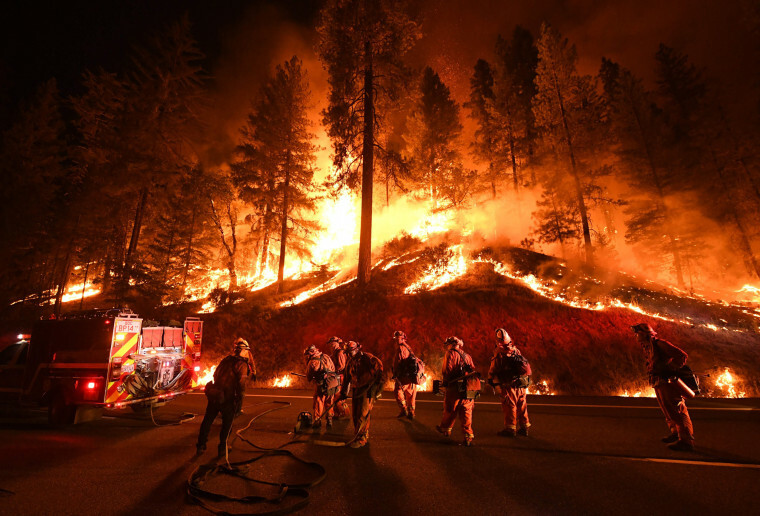 The Carr Fire, in Shasta County north of Sacramento, is the largest of many wildfires burning across California. Six people, including two firefighters, have died and the fire has destroyed 1,058 homes and nearly 500 other buildings, including barns and warehouses. 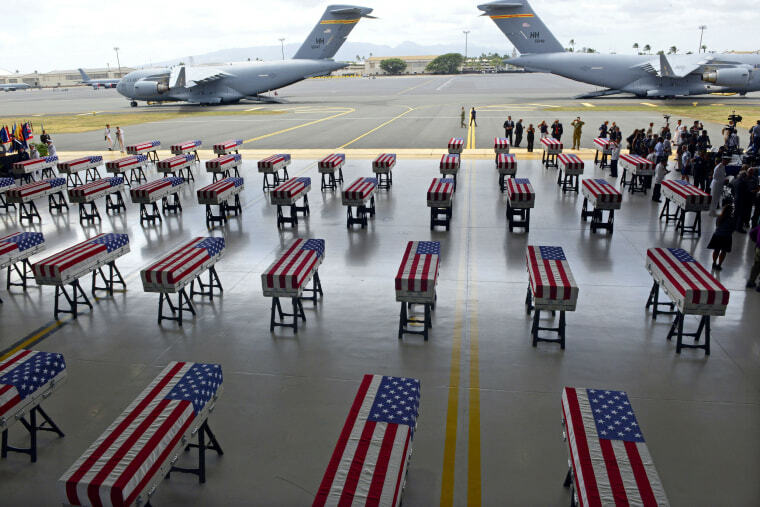 Transfer cases containing the remains of American soldiers repatriated from North Korea are draped in flags after arriving at Joint Base Pearl Harbor-Hickam in Honolulu on Aug. 1. In an emotional and solemn ceremony, the remains were escorted by military honor guards onto U.S. soil, 65 years after an armistice ended the conflict and weeks after President Donald Trump received a commitment from North Korean leader Kim Jong Un for their return. 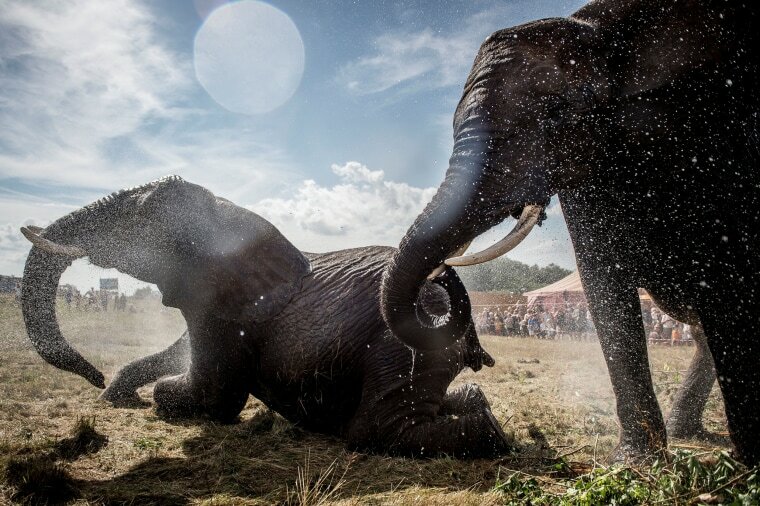 Firefighters spray down elephants at the Arene Circus to cool them off in Gilleleje, Denmark, on Aug. 2. Hot air from Africa is bringing a new heat wave to Europe, prompting health warnings about Sahara Desert dust and exceptionally high temperatures that are forecast to peak at 116.6 Fahrenheit in some southern areas. Instructor Kim Ju Yang, 20, holds a North Korean-made assault rifle at the Meari shooting range in Pyongyang on July 29. Customers at the Meari shooting range have the opportunity to fire North Korean and foreign-made firearms, most of which have been modified to fire .22 caliber ammunition. 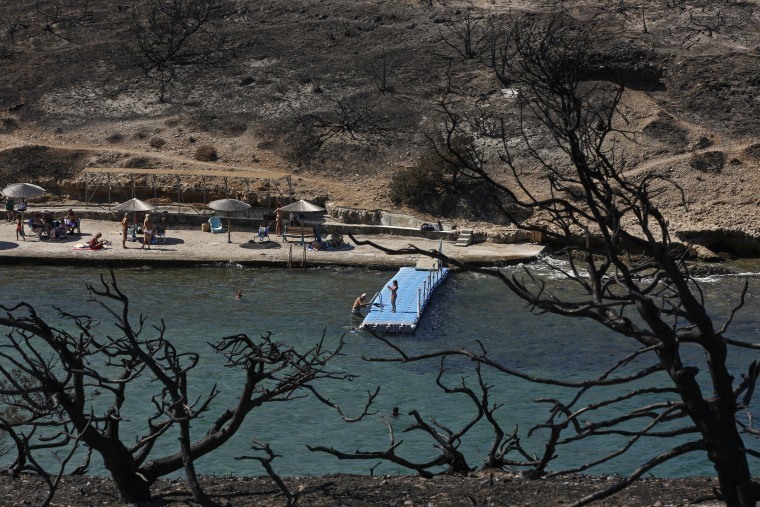 Swimmers relax at a beach surrounded by burned trees in Rafina, a northeast suburb of Athens, on Aug. 1. 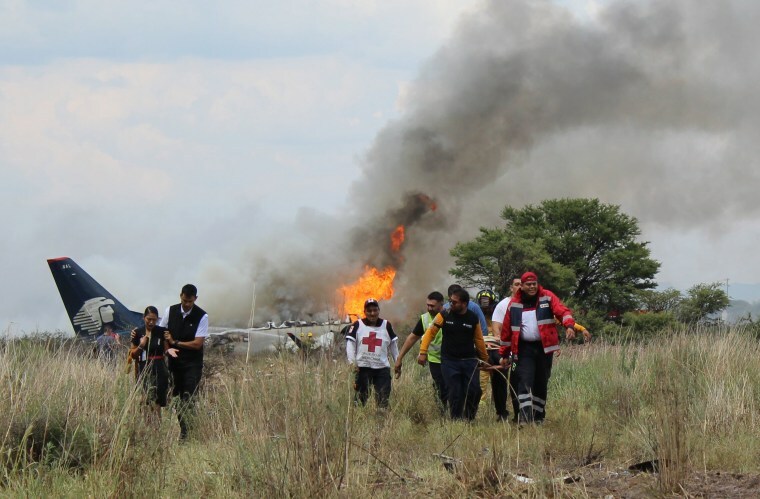 Rescue workers transport an injured person on a stretcher, right, away from the site where an Aeromexico airliner crashed while taking off in Durango, Mexico, on July 31. The jetliner smashed down into a nearby field after taking off in a blustery storm but skidded to a stop virtually intact. All 103 people aboard were able to escape advancing flames before fire engulfed the aircraft. 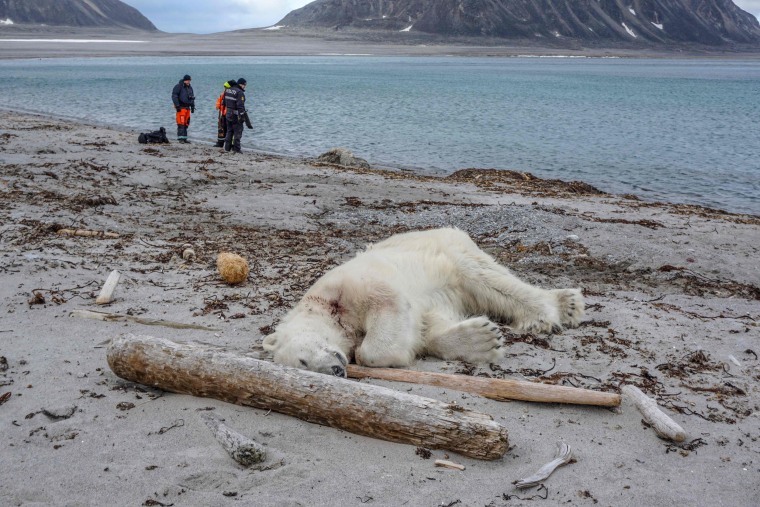 A dead polar bear lies on the beach in Norway's Svalbard archipelago on July 28. Norwegian authorities said the polar bear was shot after it attacked and injured a polar guard who was protecting a group of tourists from a cruise ship. A woman carrying her baby casts her ballot in a polling station located in a suburb of Zimbabwe's capital Harare on July 30. 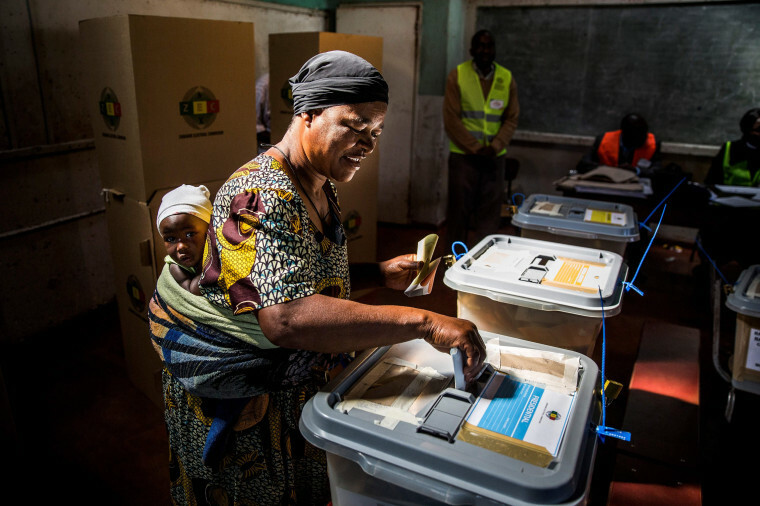 Across the country, millions lined up to cast their ballots in crucial presidential and parliamentary elections, the first since the nation's independence in 1980 without Robert Mugabe as a candidate. 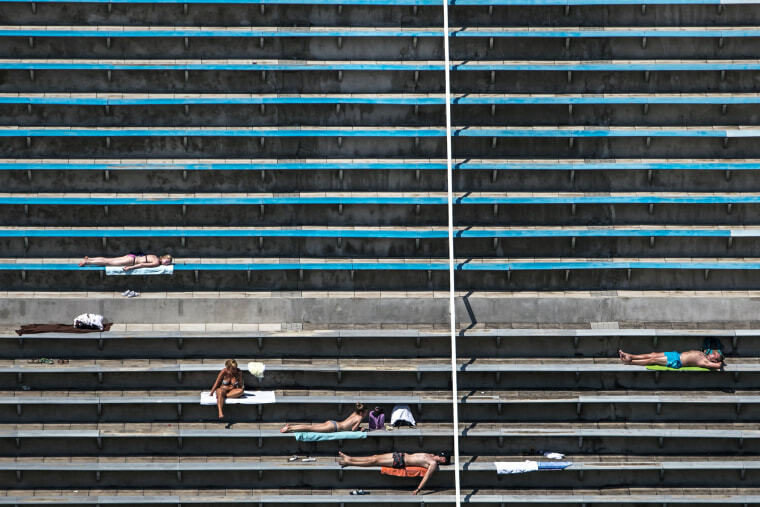 Sunbathers enjoy warm weather at a swimming pool in Prague on July 31. 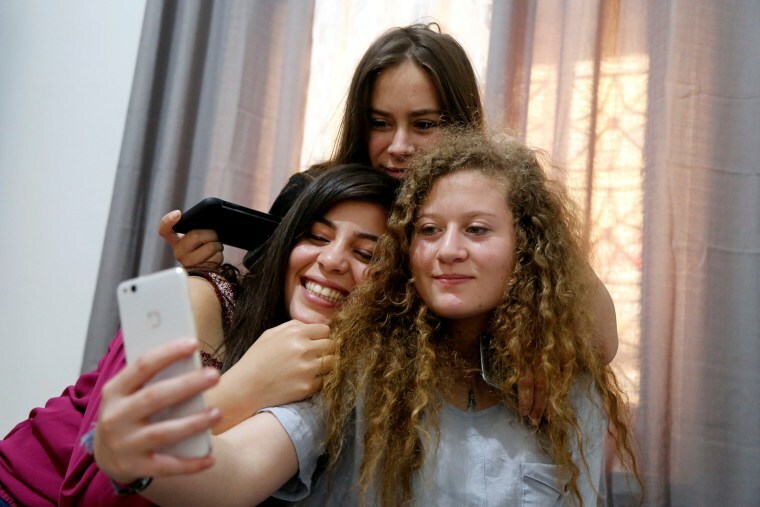 Palestinian teen Ahed Tamimi takes a selfie with friends at her family’s home in the occupied West Bank on July 30, the day after she was released from an Israeli prison. Tamimi, 17, was arrested in December after she confronted two Israeli soldiers outside her home, slapping and kicking them as she told them to leave. Her mother filmed the incident and posted it online where it swiftly went viral and turned Tamimi into a symbol of resistance to Israeli occupation. 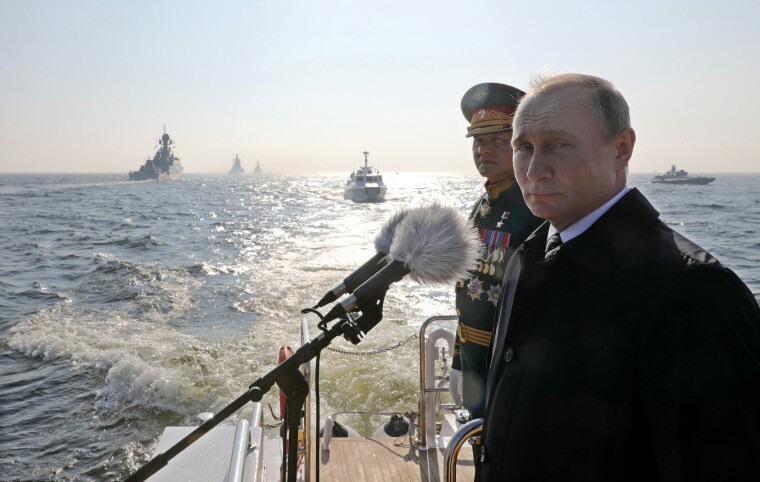 Russian President Vladimir Putin and Defense Minister Sergei Shoigu attend Main Naval Parade marking Russian Navy Day near Kronstadt, Russia, on July 29. 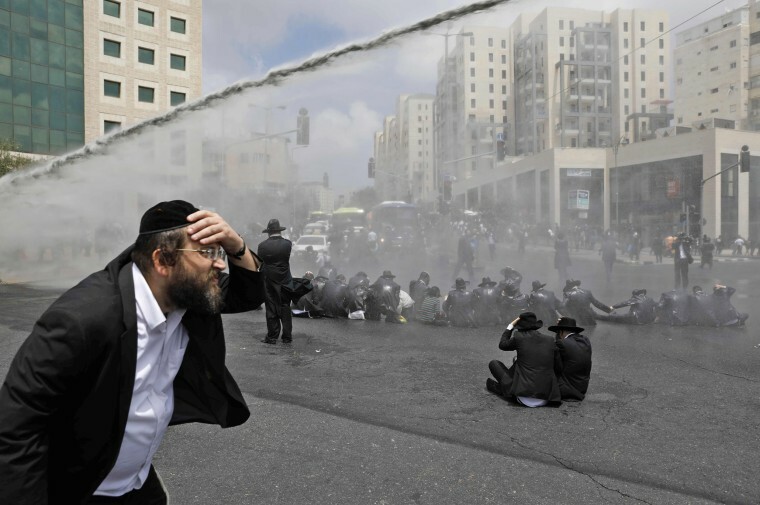 Ultra-Orthodox Jewish men are sprayed with water cannons by Israeli security forces during a protest in Jerusalem on Aug. 2. According to police, they were protesting against the arrest of an ultra-Orthodox man accused of evading the military draft. 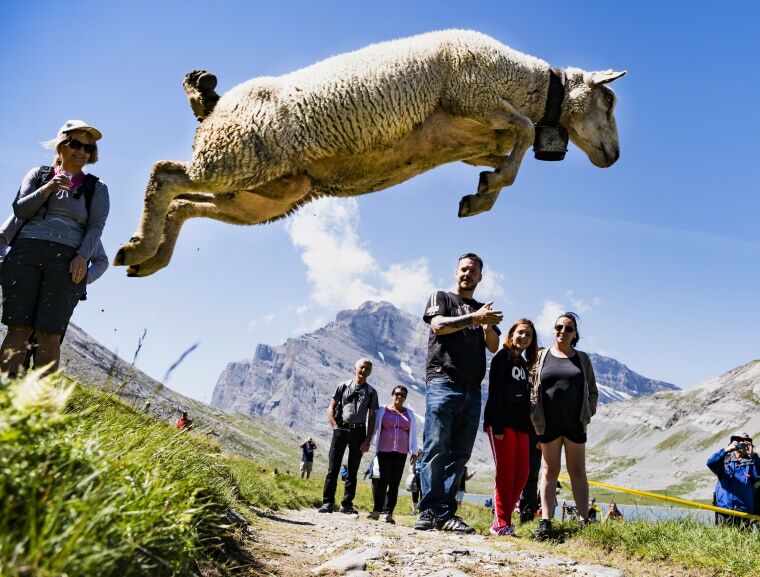 A sheep jumps over a path at an annual sheep festival near the Gemmi Pass, across the Bernese Alps in Switzerland on July 29. 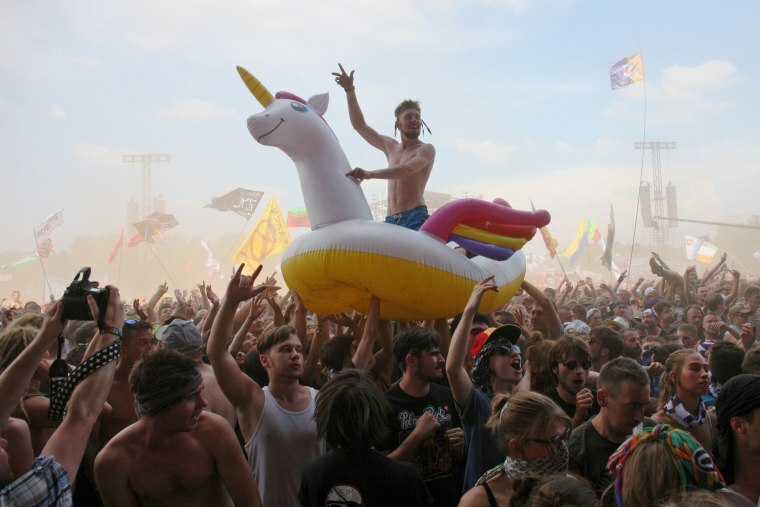 Concertgoers celebrate at a music festival in Kostrzyn, Poland, on Aug. 2. 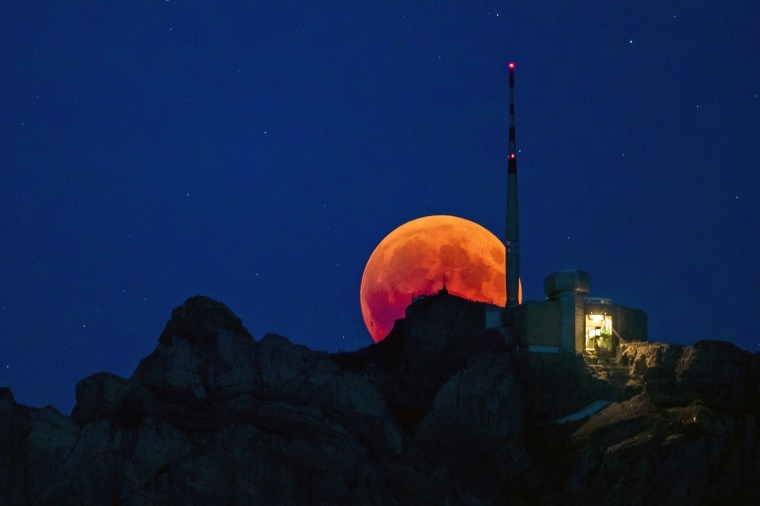 The moon turns red during a total lunar eclipse, behind the Saentis, the highest mountain of the Alpstein region, in Luzern on July 27. The total lunar eclipse was the longest of the 21st century. During totality, when the moon is completely engulfed in Earth's shadow, it takes on bright red and orange hues and is called a "blood moon."